In these pages you’ll be taken on a journey from the origins of psychology and the fundamental unknowns that spurred the study of human behaviour to the latest research in these fields, examining the main schools of thought in psychology as well as the most notable figures in its history. In addition you’ll learn some of the fundamental principles that govern how we act, how we feel and how we relate. In short, this book is designed to introduce you to the world of psychology and its most fascinating aspects in a simple, accessible way. 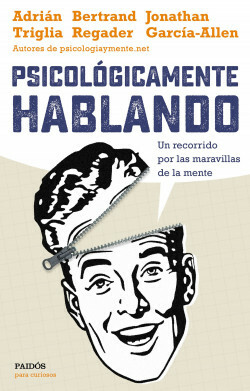 Psicología y Mente (Psychology and Mind) began in 2014 as a humble blog in which Bertrand Regader (director) published educational articles about psychology and neuroscience. Two years later, it became the most visited digital magazine in Spanish in its field with 3 million monthly visits and the participation of over 100 authors and contributors. A journey through the wonders of the mind. A fascinating look at the science of human behaviour.